Tomorrow, Sunday April 12st, 2013 the Food Network will air a new episode of Giada in Paradise that shows the art of Thai fruit carving on national TV. This show was shot if beautiful Thailand. While there, Giada de Laurentiis visits the Siam Carving Academy in Thailand to try her hand at Thai Fruit Carving. What a treat for the eyes that will be. Giada is gorgeous, Thailand is a beautiful tropical paradise and the stunning art of fruit carving all in one show will quite lovely to watch. I’m looking forward to seeing the show. It will air on Food Network and 8:00 pm Eastern time and 5:00 p.m. in California. Check your program guide for airing time in your location. You Can Learn Thai Fruit Carving without Traveling to Thailand. 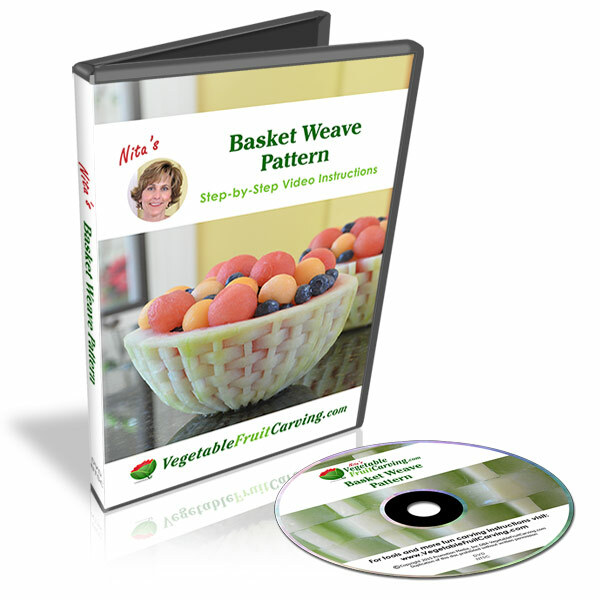 You can learn in the convenience of your own home with my video lessons available on DVD and online. 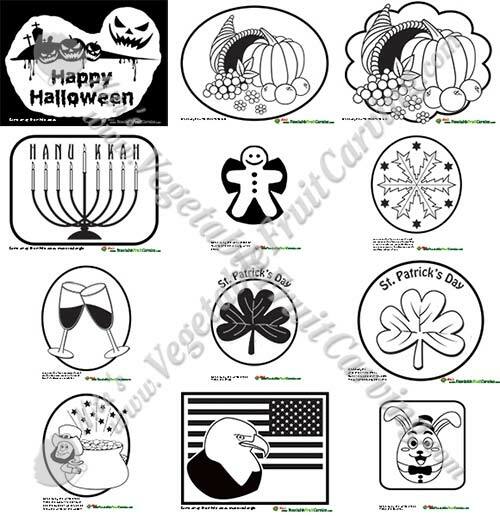 I have an 11 week Vegetable and Fruit Carving 101 Course for Beginners as well as individual DVDs that teach how to carve melons in the Thai style. I was taught by Thai teachers and share on my videos, the Thai carving techniques that I have learned. 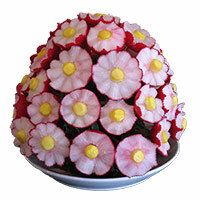 These Thai fruit carvings are taught in Nita’s video lessons, Carving Watermelon’s, Smooth and Jagged Petals. 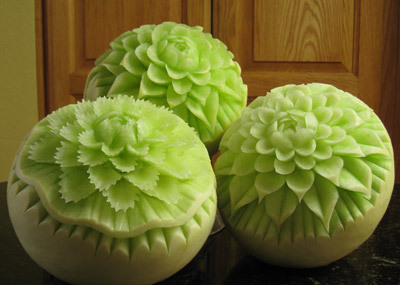 If you want to learn Thai Style melon carving, check out my lessons Carving Watermelons, Roses, Buds and Leaves as well as Carving Melon Flowers – Smooth and Jagged Petals. I recommend the Carving Watermelons video as a prerequisite to the Carving Melon Flowers video instructions. To see an introductory free lesson showing you how to make a lovely flower centerpiece from radishes, sign up for the free lesson at the top of this page. With my lessons, you can be doing Thai Fruit Carving (perhaps even better than Giada de Laurentiis) without having to travel all the way to Thailand. Traveling to Thailand is on my bucket list. But for now, the armchair adventure of Giada in Paradise on TV will have to suffice. If you miss this airing, of Giada in Paradise, check the Food Network show schedules for repeat airings. If you’d like to see more articles about Thai Fruit Carving, check out some of my past blog posts. I love the fruits corving.